A few of the cats currently available for adoption at our adoption locations; many more are available at each site than are listed so stopping by to see our current crop is never a bad idea! We have many cats and kittens currently in foster care that are available for adoption as well. These animals are often not ready to go home yet, but we would be happy to reserve them for you by completing a pre-adoption form for them and arranging pickup of them after they've had their spay or neuter surgery. 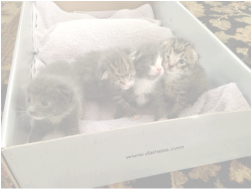 Please email us about these cats and kittens and we'll be happy to help you. Check back often, this list gets updated several times a week! Alana came to us as a momma cat who had given birth to three kittens; who have all been adopted. She is currently in foster care after having taken on the mothering of 6 little ones that were abandoned at the Watsonville Animal Shelter. 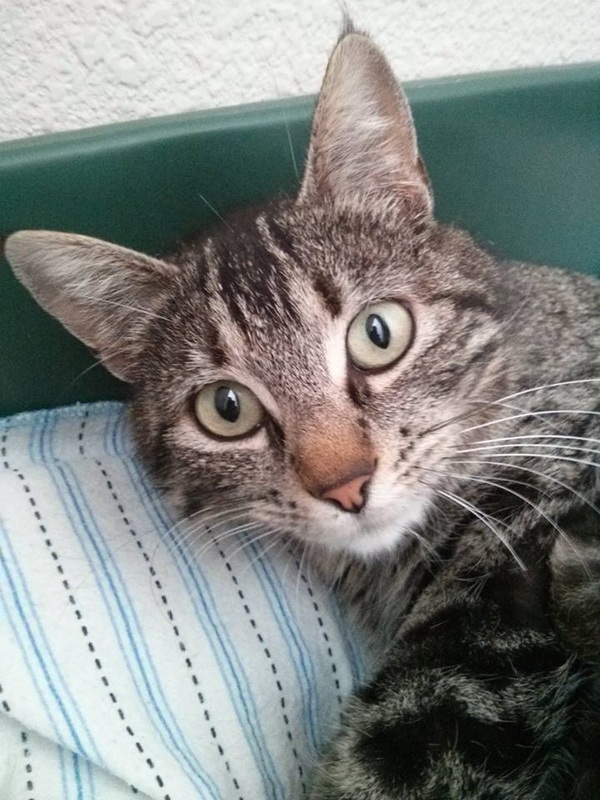 Alana is great with people and very sweet; she would love a safe indoor/outdoor home. 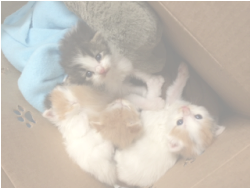 Affectionately known as the "Cookie Crew" these 4 adorable kittens are currently in foster care in Salinas. The three girls (calicoes Doodle and Snap, and orange and white girl Sugar) and boy (Piglet) are in foster care with a large dog, teenagers and an adult cat. They have been bottle fed and are very affectionate, playful little ones. They will be available for take home (individually or in pairs) in late April or early May*. The motorcycle misfits are being lovingly hand raised in foster care in San Jose. They were brought into the Watsonville animal shelter without their mom in mid-March and should be available for adoption in mid-May. It will take some time before we can be sure of who is who and what is what with these guys, so we can't say yet how many are boys versus girls, but they are growing and doing well.